Penrith and Parramatta have dominated the 2018 NSW Junior State Championships held around the state across the long weekend. Parramatta won the U12s and U13s titles and Penrith won the U14s tournament, all of which were played over three days. A combined Parramatta and Randwick side also took out the U15s girls division, West Harbour won the U17s girls final and Penrith also featured in the U12s final. Earlier this year, Penrith’s senior club was removed from the Shute Shield competition after struggling to field competitive teams in most grades. While Sydney Rugby Union president David Begg confirmed a senior club will replace the Emus in the Sydney grade competition eventually, no firm plans have been announced. 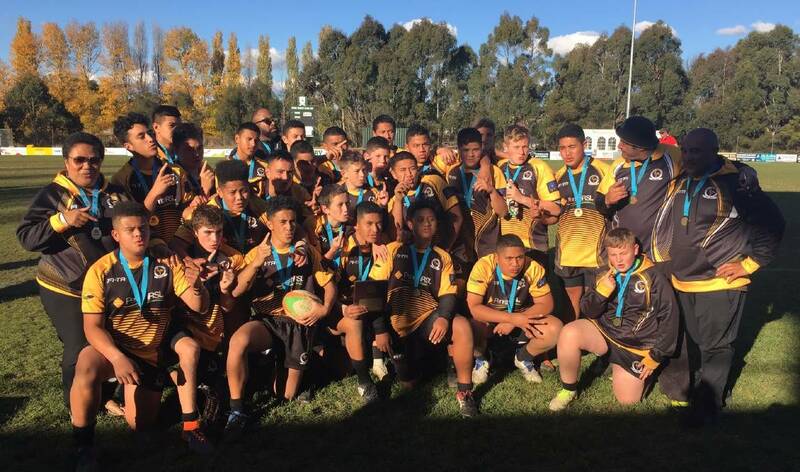 “We mentioned that to the boys with the seniors not doing so well we needed to show the world we’ve still got talent at the club and we did that today,” Penrith U14s coach Ronnie Patea said. In other results, Norths were too good for Eastwood in the under 15s decider, Gordon beat ACT in the U17s and Manly defeated Hunter in the Opens (U18s). “It was a magnificent weekend – probably one of the best State Champs we have run in recent years, NSW Juniors president Ben Gregory said.